The Upbeat Dad! 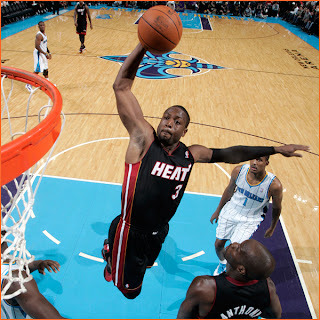 : A Big Boost from NBA Star Dwyane Wade! Yesterday was one of those magical days where things all seem to come together! On Wednesday of this week, I wrote and posted on the blog an article entitled NBA Star Dwyane Wade's Got His Priorities Straight. In that article I shared my admiration for Wade and his role as a father. I live in Miami and let's just say Wade owns the town - some actually call Miami-Dade county Miami-Wade county! Since I'm local, I hear about much of what occurs in his personal and professional life. He recently went through a divorce but remains as close as ever to his two sons. On his Twitter account under his bio it says, "...I'm a father first and everything else after that." The fact that the article was about him didn't go unnoticed by our readers. It was one of the most read posts in our brief history. Well, this next point is simply magical! 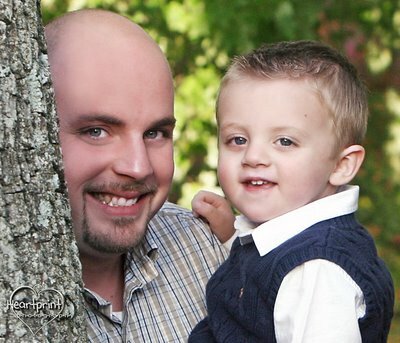 I thought that I would send the article via Twitter to Wade to let him know that I recognize him as an Upbeat Dad. I did so yesterday morning and what ensued is more than I could possibly ask for! Wade not only responded saying thanks for noticing that he has his priorities straight but he sent the article to all his followers on Twitter - over 700,000! That was a very humbling gesture for me - that he not only acknowledged the admiration but that he shared it with his Twitter fans. Since he shared the article yesterday, the Upbeat Dad blog has had more hits than at any point since we launched October 1! That article is now by far the most read of all those that I have written. People from all over the world - in the hundreds per hour, have been reading! This is quite gratifying to a writer who is simply seeking to impact the world in a positive way. 9 years ago at this very point in the year, I was at the beginning stages of the worst personal crisis of my life - my divorce and custody battle for our 3 year old daughter. The divorce was finalized in July 2002 but the custody issue went on for close to a year after that. That chapter of my life closed with my daughter virtually unscathed. She's loved by both her parents and today she's a well adjusted 12 year old. And as an honor roll student, she has a great future ahead! 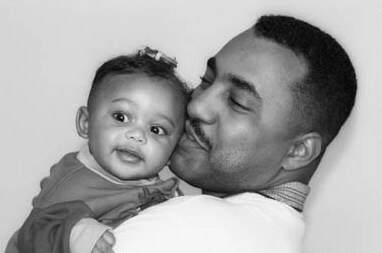 But I vowed after my experience to establish an organization to encourage fathers to lovingly care for their children regardless of the circumstances that arise. I got a harsh dose of reality when I saw what occurs to many families in the family law system. Children are often the collateral damage when a happy home becomes a broken home. Today, I'm happily remarried with a newborn son. And my daughter lives with my wife and me while she remains close to her mom. Things have turned out just fine. My mission through this blog is to help create more stories with happy endings - for the children, in particular! If you're a new reader to our blog, I welcome you and encourage you to become engaged in our conversation. Do post your comments on the blog and on our Facebook page. Also follow us on Twitter. Come back soon and come back often! There's always something positive, refreshing and new going on here! For a bit more information on the mission of The Upbeat Dad, read our posts The Story Behind The Upbeat Dad, Looking for a Few Good Men and A Sneak Preview of Where We're Going. I also encourage you to nominate your dad or any dad who you believe we should recognize in our weekly feature, Upbeat Dad of the Week. I'm so appreciative of Dwyane Wade's gesture yesterday. With this increased readership, we have a greater potential to impact the world with the message that "The Upbeat Dad is for all who believe in the positive influence fathers can have on kids!" Have a good weekend! And if you have children, try to do something fun with them! They'll love and appreciate you even more!